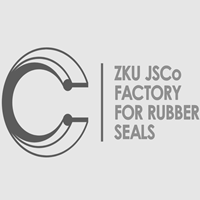 ZKU JSCO Factory for rubber seals was founded in 1968 in Stara Zagora as part of the State trust „Hydraulics“ with main activity – production of rubber seals for hydraulic and pneumatic products. Since 1978 the administrative and production headquarter of the company is located in Gorno Botevo village (15 km east of Stara Zagora). In 1998 the management of the newly formed company assumes Mr. Georgi Petrov, who to this day is CEO of the company. „ZKU“ JSCo has licensed technology and equipment for the production of rubber seals for hydraulic and pneumatic products from the company DICHTUNGSTECHNIK, Germany. The factory has 75 employees with solid experience in the production of rubber products. All production processes are managed in accordance with the requirements of the international standard for Quality Management EN ISO 9001. Here you will find only a small part of our portfolio. We offer standard rubber rings as well as custom made products with wide application in various branches – mining industry, water heating systems, gas supply, rail compositions and others. 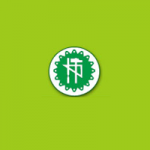 You can get information about a product by directly sending an inquiry or through our contact form.